100% Whey Protein Professional is one of the bestselling protein blends in Europe and is specifically developed to aid recovery and enhance muscle growth. 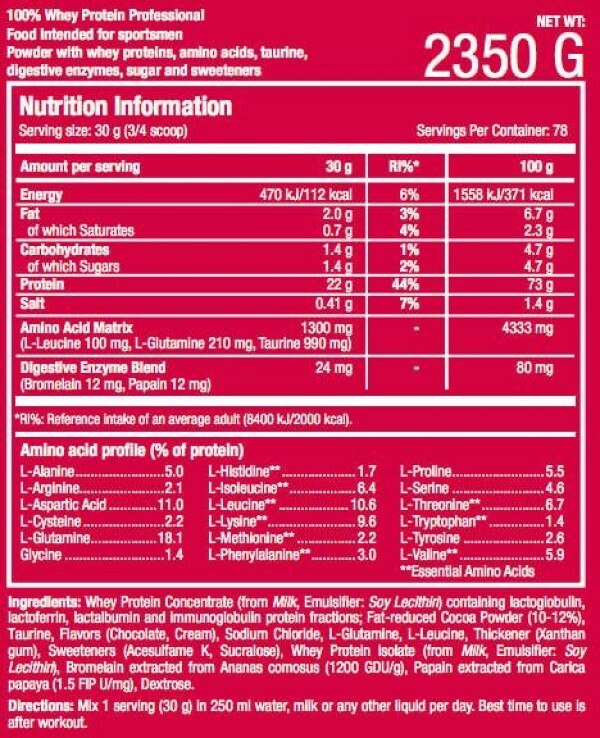 The combination of whey concentrate and whey isolate provides a balanced protein blend and with added digestive enzymes and amino acids, it also improves protein uptake, speeding up muscle recovery. 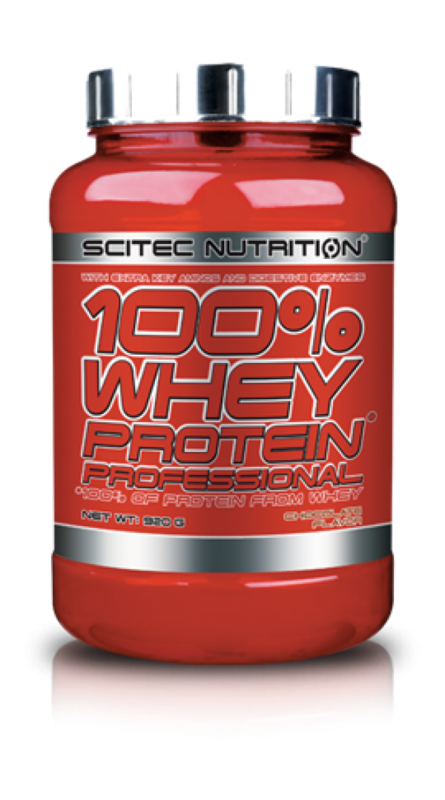 100% Whey Protein professional can also be taken when you have not eaten for several hours to provide a fast and easy protein boost that reaches your muscles quickly. As a food supplement, whey protein is the perfect solution to use all year round regardless if you are dieting or bulking.